OnlineSpiritsAndWine.com is Now Up and Running! 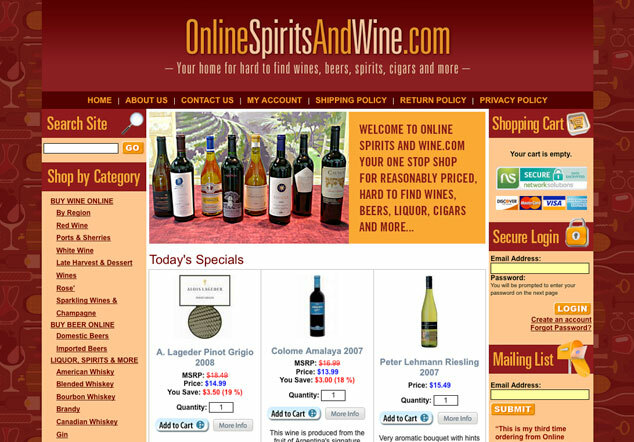 You can now buy wine, beer, liquor and cigars online at OnlineSpiritsAndWine.com. 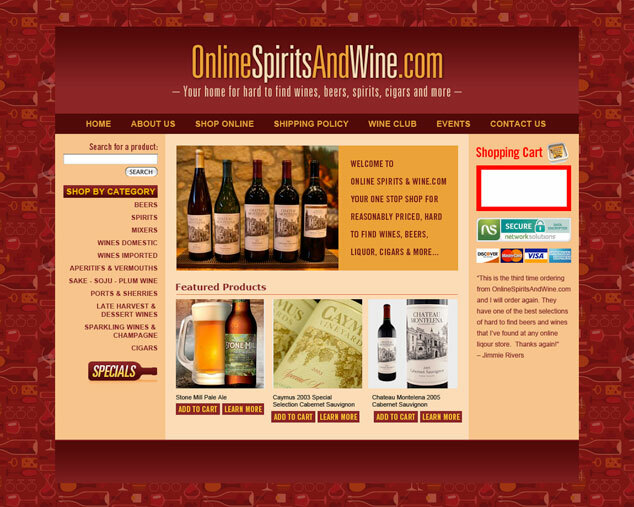 OnlineSpiritsAndWine.com is an online wine store that sells hard to find wine, beer, liquor and more, so visit, or better yet, buy some wine for friends and family for the holiday season. Here is the home page we designed for an online store that will sell wines, beers, spirits, cigars and more. Be on the watch for the new site soon. UPDATE: This website is up and running and ready for business, so click here: to buy wine, buy beer, buy liquor, buy cigars and more at this great online wine store.